The Gen4 Static Eliminators produce a bulk of positive and negative ions and are electrically powered. 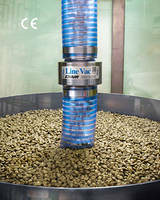 The laminar flow airstreams blow away contaminants and eliminate the charge that attracts them. 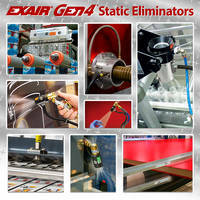 The eliminators are certified to CE, UL and RoHS standards. 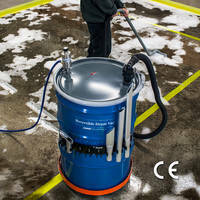 The units deliver a force that can be adjusted from a blast to a breeze. 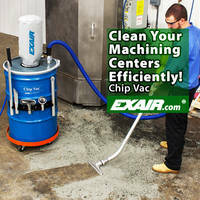 The eliminators can neutralize and clean up to distances of 20 ft.
Neutralize and clean at distances up to 20 feet with EXAIR's Gen4 Static Eliminators. These shockless ionizers are electrically powered and produce a bulk of positive and negative ions. The charged surface attracts the appropriate number of positive or negative ions from the ionizer to become neutral. Combining our engineered airflow products with ionizers gives us the ability to eliminate a static charge quickly and from great distances. Laminar flow airstreams make it possible to blow away any contaminants and eliminate the charge that attracts them. Compressed air consumption and noise are minimized while providing force that can be adjusted from a “blast” to a “breeze”. 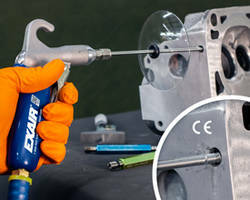 When static is a problem on moving webs, sheet stock, three dimensional parts, extrusions or packaging, EXAIR has a solution. 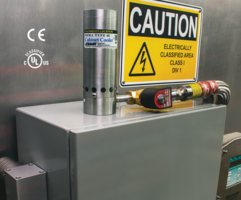 Our Gen4 static eliminators have undergone independent laboratory tests to certify they meet the rigorous safety, health and environmental standards of the USA, European Union and Canada that are required to attain the CE and UL marks. They are also RoHS compliant.